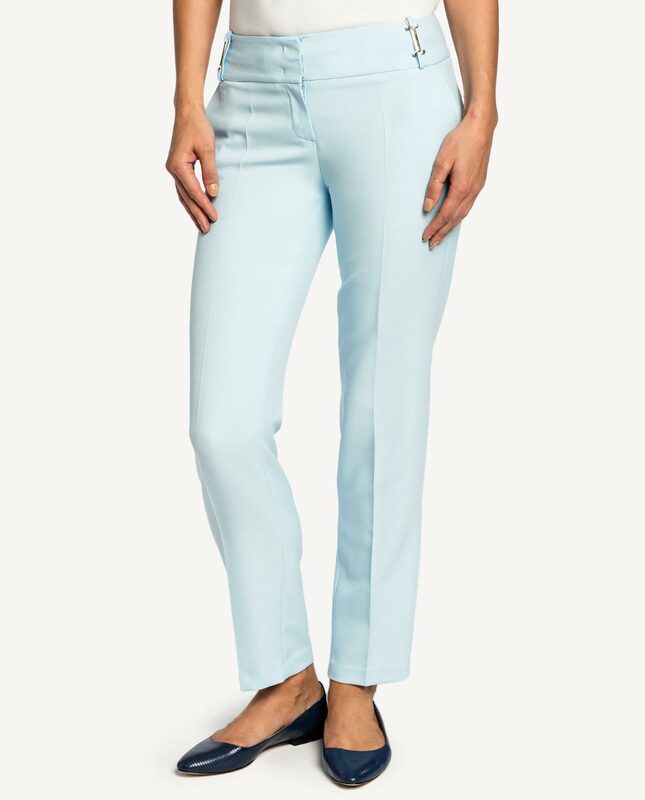 Elegant cigarette light-blue trousers in high quality cotton fabric constaining some polyester which makes it comfortable to wear. The bright colour is just a perfect summer time pick, and vintage suit trousers are a staple in any woman’s wardrobe. Their versatility makes it appropriate to work, a dinner or an informal get-together with friends. The style can come in different combinations and it is a foundation piece for a number of looks. For official events, opt for tight-waisted jackets and fitted tops. For informal situations, choose basic tops and oversize sweaters. Fastened with a zip and and a set of hooks and loops. Two sliding pockets at the front.